With so many weddings happening during the summer months, I figure this week can be a ‘friendly’ reminder to not forget your wedding anniversary gift! According to a survey I recently came across, September is the most popular month of the year to get married. However, being a bridesmaid many times, most of the weddings I was a part of took place anywhere from May to September. When thinking of an anniversary gift, be sure to think of things that remind you of your significant other and that special day you shared together. Here is a list of my top five favorite anniversary wedding gifts. I hope this helps you when trying to choose that perfect anniversary gift. I love rolling rings and this set featuring one in rose gold, one in yellow gold and one in white gold is a perfect first or second year anniversary gift! 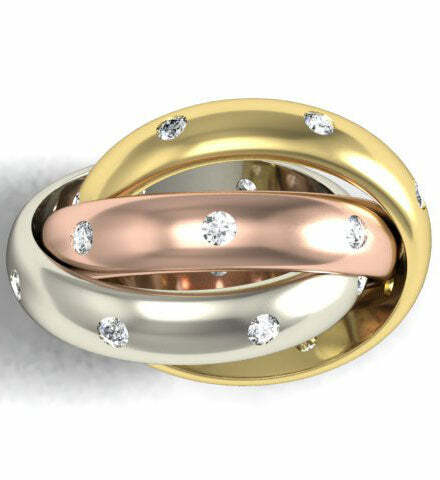 Perhaps you have started a family and the three different metals can represent the man, the woman and your new addition! The reason I love jewelry so much is 1.) I love jewelry and 2.) I love the meaning behind a jewelry gift. 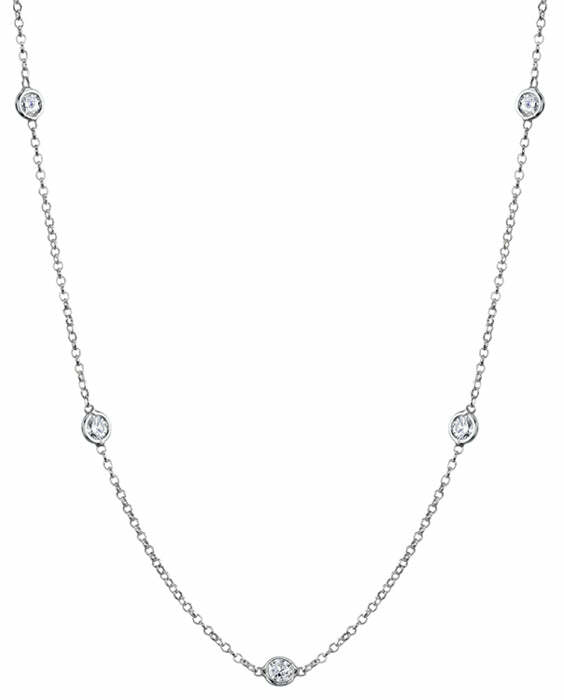 A diamonds bezel station style necklace is a great gift for a one year or more wedding anniversary gift. Choose from different diamond carat weights, 7 or 9 stones and even white gold, yellow gold or platinum. Many customers purchase the diamond and colored stone version. If your wedding was in August, perhaps buy her the diamond and peridot version which will always make her think of that special August day! 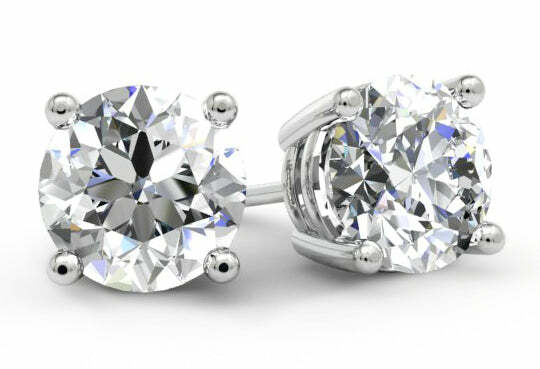 Diamond stud earrings are the perfect anniversary gift! They are a bit expensive so perhaps they are better for a five or ten year wedding anniversary. Diamond studs earrings are something that she will always be able to wear and something that will never go out of style. You can even match her engagement ring…if she has a princess cut diamond engagement ring, perhaps buy her princess cut diamond studs! Diamond eternity wedding bands are the ultimate wedding anniversary gift! 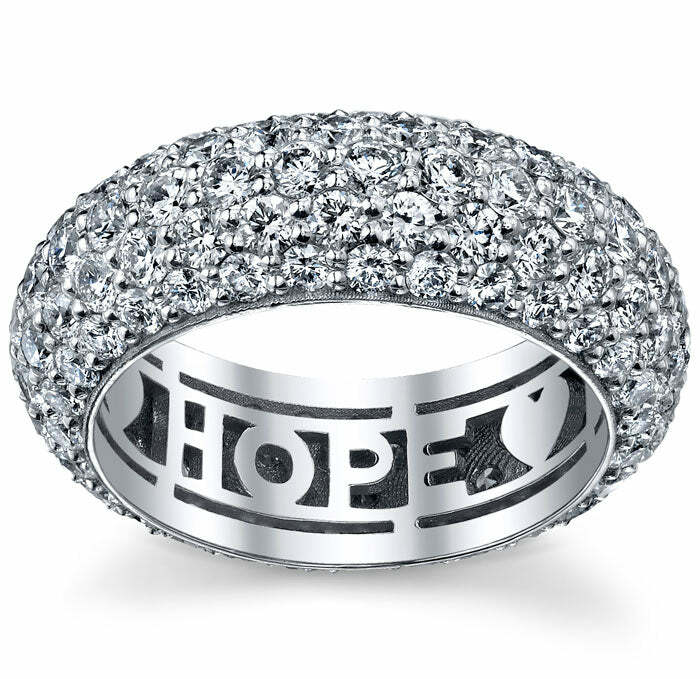 This five row diamond pave eternity ring features the words ‘faith’, ‘hope’ and ‘love’ which are three words that should be a part of every marriage. If you surprise her with this ring on your wedding anniversary, you’ll be good to go for another few years! A three stone ring represents your past, your present and your future. I would recommend a three stone ring to someone who has perhaps been married for 5 years or more. When you present her this wedding anniversary gift, let her know what each diamond represents. 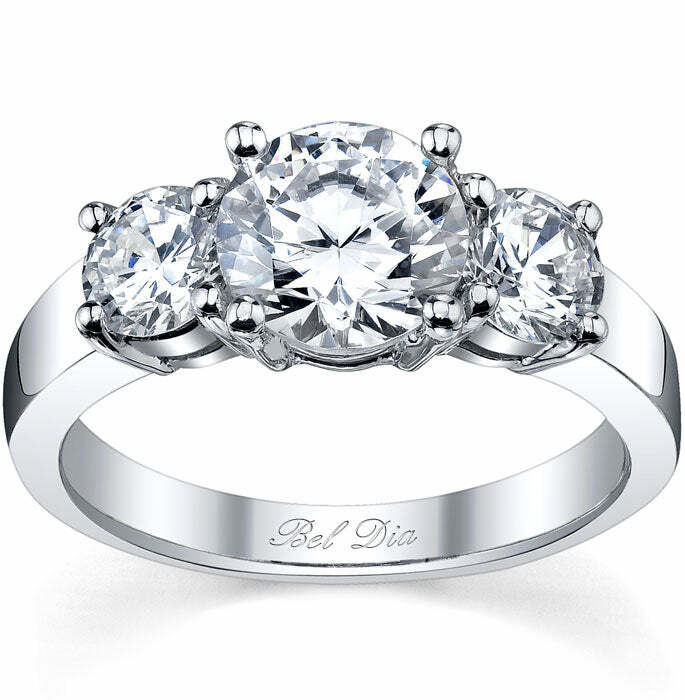 The symbolism of this three stone ring makes it my number one choice for diamond anniversary gifts!